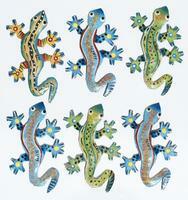 Lizards handmade of metal, colored with bright colors. 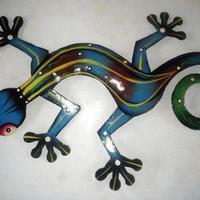 Metal lizard, natural metal color. 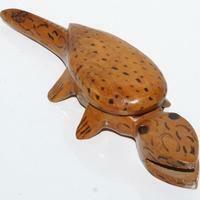 Size 20cm. 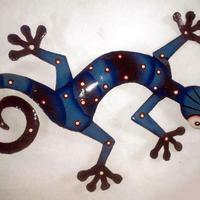 Handmade blue metal lizard. 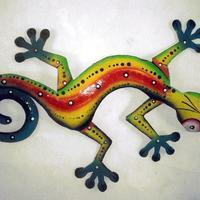 Haitian art.